Review your hairstyle and make-up. Have a color touch-up, perm or highlights. Have a facial for a glowing complexion. For smooth and carefree skin throughout your honeymoon, have a leg and bikini waxing (also facial waxing). Remember that a 2 weeks hair growth is necessary for a first time waxing. Treat your feet to a pedicure. Have your hands looking great with a paraffin manicure. For complete relaxation, sign up for a stress relief body massage. We recommend a body massage, facial, haircut and style, pedicure and manicure. Have your make-up and hair done professionally at A Bella Salon and Spas! Bring the entire wedding party and have everyone looking great for your special day and memorable pictures. 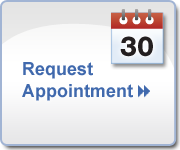 Remember to make appointments 8 to 10 weeks prior to the event.